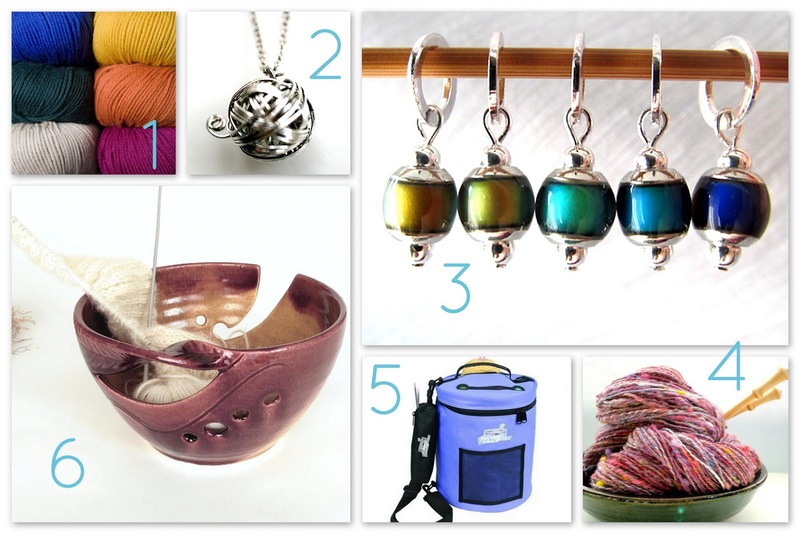 Do you have a knitter on your to gift list? These are my picks from 10 to 50 dollars. I had so much fun virtually shopping for knitting supplies. Be warned! A few of these are from Etsy, so if you want to order by Christmas there are just a few days left! 1. The first thing everyone thinks of to give knitters-- yarn. This Capra Cashmere Yarn from Knit Picks is a Merino/Cashmere blend that sounds just dreamy to wear and knit with. It comes in 20 gorgeous colors and is $7.99 a ball. 2. It's impossible to go wrong with jewelry! This yarn ball necklace by Crumpet Cake is classy and cute-- and affordable at the price of 16.99. 3. Speaking of jewelry, here's some jewelry for knitting projects. As a child of the 80's, I fell in love with these Color Changing Mood Stitch Markers from Lady Danio. The listing notes that the markers be made into closed markers (for knitting) or open (for crochet). At $10.00 these are a steal! 4. 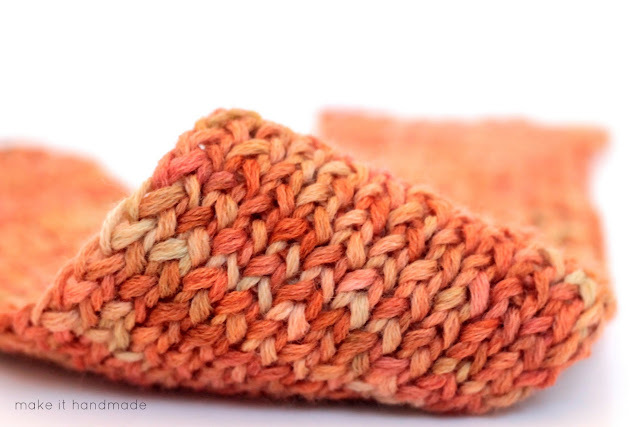 Norichan Knits Handspun Yarn looks like a joy to knit with, crochet with, or simply to hold! Check out these gorgeous offerings from Ohmayzee on Etsy. 5. Art Bin has come up with this handy bag for holding knitting items. Unlike other bags, the Yarn Drum has enough room to keep yarn for entire sweater and has slits at the top to feed the yarn through while you are knitting. This would be so convenient for an on the go knitter! 6. What about knitting at home? I've long coveted these stone yarn bowls. They are absolutely beautiful and works of art in their own right. Each bowl has a small groove to feed yarn through to keep your yarn from bouncing around on the floor as you knit. The bowl pictured above come from Blue Room Pottery and is just one of her many handmade creations. Unfortunately she is sold out for before Christmas delivery-- but I can't think of a knitter who wouldn't love to receive an IOU for anything from her shop.